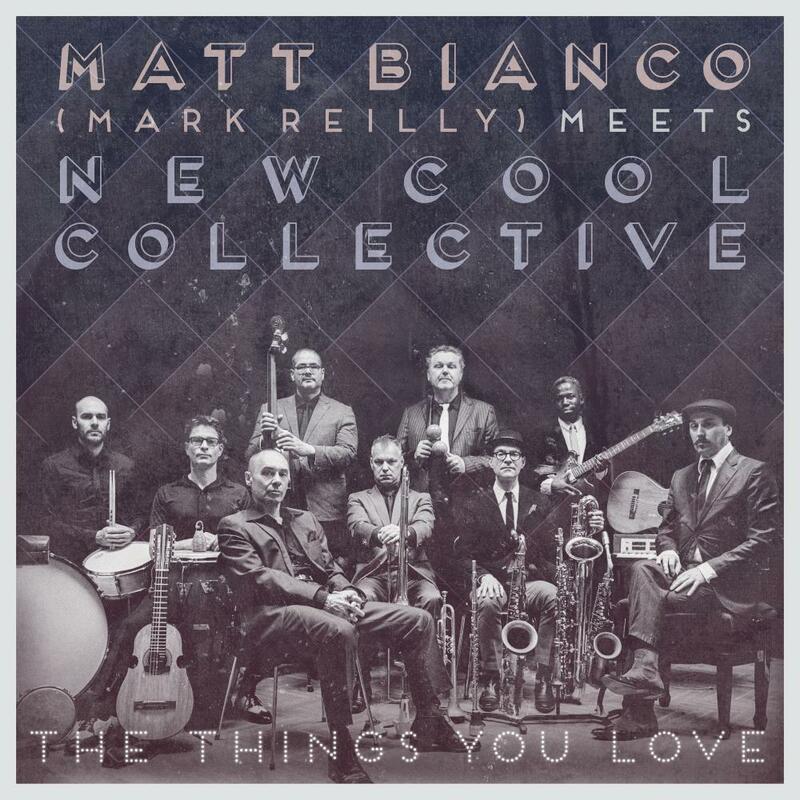 After a series of inspiring meetings Matt Bianco (Mark Reilly) and New Cool Collective noticed that their style of music and work were a perfect match. They sent ideas back and forth between London and Amsterdam, which first resulted in an EP containing 5 tracks. Four brand new songs and one remake of the well-known Matt Bianco hit ‘Don’t Blame It On That Girl’. They went on ‘The Things You Love’-tour shortly after and due to the great success and demand for more music New Cool Collective and Matt Bianco decided to record a complete album. Five new numbers appear on the disc alongside the EP tracks: including ‘Cry’, the superb combi with Clean Bandit singer Elisabeth Troy, and a Matt Bianco & New Cool Collective makeover of one of NCCs own songs: The result is a swinging version of the song ‘Bring It On’.